This week we will have the first in a series of cascading workshops. 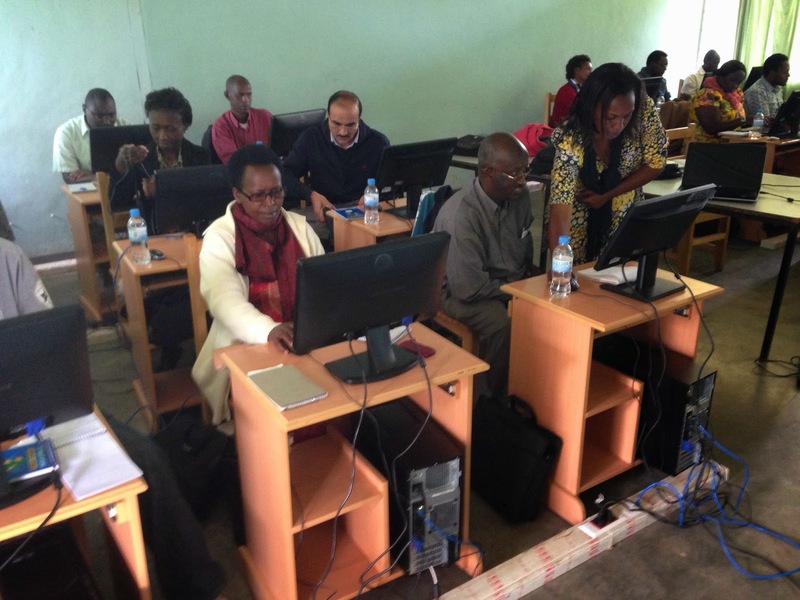 Researchers and lecturers in agriculture and related fields have been invited to UR-CAVM to learn more about e-resources and how to find information related to their topics and interests. It's not a question of merely sensitizing the participants, hands-on practice is an important part. The facilitator is an experienced librarian from the Huye campus, Benilde Mukarybayiza, who has participated in many of the trainings organized by the UR-Sweden Programme. She has a long experience of training researchers and lecturers in Huye. Anna Stockman, from the BTH library in Sweden, will be co-facilitating. So, what makes this a cascading workshop? The next time we arrange this workshop for researchers and lecturers we hope that some of the four librarians can co-facilitate. Eventually they will facilitate workshops themselves. At those future workshops, more UR librarians will be invited. This way the knowledge about resourcdes and training will "cascade".